Today, the Timbavati conservation ideal persists, albeit under rapidly changing and unpredictable circumstances. The complexities of managing a large private nature reserve increase every day. A good example of this is the relentless challenge we face in dealing with rhino poaching. In our reserve alone, the costs for security and anti-poaching have escalated by a staggering 900% in the last 6 years, taking up 63% of our annual operating budget. And while we fight against organised crime and illegal wildlife trade, other serious challenges need to be faced - like integrating the Greater Kruger wilderness and surrounding communities in ways that are sustainable and that reduce the risk of protected area fragmentation. 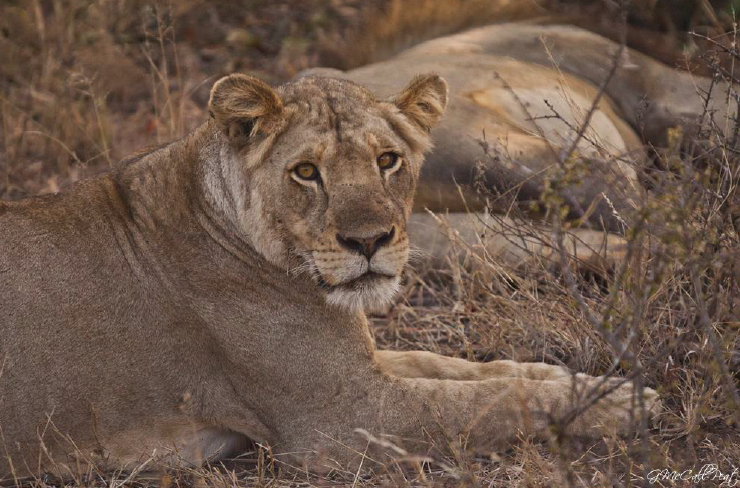 Whilst private nature reserves are vital pieces of the Greater Kruger landscape puzzle, it is not commonly known that these private reserves receive no government funding. All funds have to be generated by the reserves themselves - funds to cover the costs of anti-poaching, salaries of wardens, ecologists and other staff, conducting expensive aerial censuses to monitor animal populations, monitoring vegetation conditions, controlling alien plants and maintaining roads, fire breaks and fences to name a few. The Timbavati relies on income generated from two forms of sustainable utilisation - photographic tourism and hunting. The latter has a much lighter landscape footprint and yields far more revenue per capita for the reserve than the former. 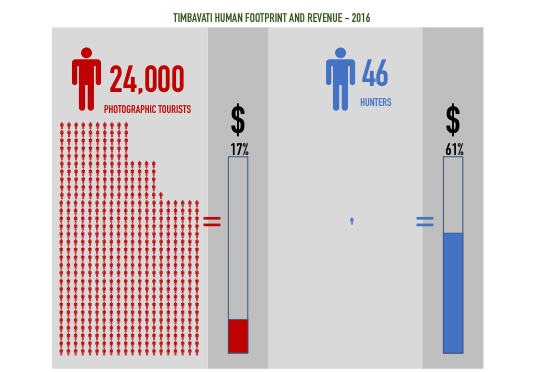 To address imbalance, reserve management embarked on an analysis of the reserve’s financial model in 2016, revealing that the conservation levies paid by the ± 24 000 photographic tourists who visited the reserve that year was less than a third of the income earned from the 46 hunters visiting over the same period. Photographic tourism and hunting rely on sound reserve management, enabling a healthy ecosystem, which supports stable plant and animal populations. The Timbavati monitors wildlife populations closely through annual aerial censuses, and conducts annual routine vegetation assessments to determine veld condition. The reserve is fortunate to have accurate data spanning more than two decades, and our data shows that the total animal population in Timbavati continues to grow. This includes elephant, whose numbers are declining in other areas around Africa. The Timbavati has always stayed true to the principle that human footprint in the form of infrastructure development and visitor numbers is in conflict with sustainable management of wilderness areas. To support the low-density principles that Timbavati promotes, natural resources can and must be used sustainably. Sustainable utilisation includes all our activities that use nature as a resource, including photographic safari tourism and hunting, our annual impala culling that is done to ease grazing pressure on the ecosystem, water resource use, and the harvesting of wood and sand from the natural landscape. Both photographic tourism and hunting are compatible funding practices and we call on all our Greater Kruger partners to work together to govern these activities with integrity and careful oversight. We call on everyone with a stake in conservation to focus on the real, big-picture issues, such as benefitting local businesses within the wildlife economy, finding innovative ways to help local communities derive income from wildlife activities, the growing relevance of wilderness spaces and protected areas in the lives of people living in and around the Greater Kruger, and the collective pressure of bringing illegal practices in wilderness areas to a halt. We also call on the media and the public at large to take a landscape-level view when appraising the management practices of private reserves. Our relevance in the collective landscape leads to integration of wilderness spaces to the benefit of all animals and plants within the bigger system. We should take hands, put aside differences, and work together to prevent fragmentation of an integrated and sustainable Greater Kruger. From 1 January 2019 to 31 December 2019, the Conservation Levies for photographic tourism will be R368 per person per night. This increase is in line with the increases applied by the Kruger National Park for its entrance fees, and will provide the necessary revenue for the reserve while keeping our tourism footprint at ecologically sustainable levels. 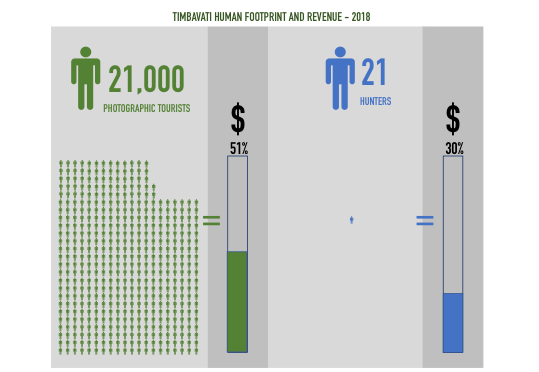 The projected contribution to the Timbavati’s income budget from Conservation Levies for 2019 will be just over 50% with estimated photographic visitor numbers of just under 21 000 for the year. In addition to this, the tables below show the proposed hunting quotas for 2019 that Timbavati is submitting for approval by the authorities. Some important points are highlighted below with regards to the figures in these tables. The table above shows the animals allocated to be sold as hunts to raise revenue for the reserve. Revenue earned from two of the buffalo bulls, will be donated to our local neighbouring communities. In this way, closer links are forged with the reserve’s neighbours who share the Greater Kruger landscape. 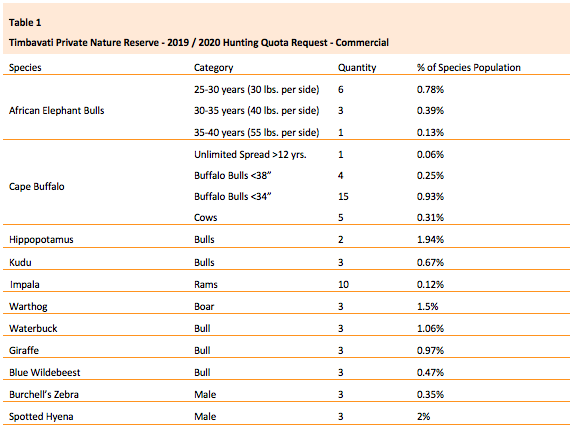 Those animals allocated for non-commercial hunts, as shown above in Table 2, do not raise revenue for the reserve. In the case of impala, hunting is used for population control. The 1,600 impala to be hunted, shown in Table 3 above, form part of the reserves management program deemed necessary to reduce the impact impala have on the availability of grazing and hence on that available to other herbivores. The culling programme represents over 96% of the reserve’s hunting quota request and includes animals to be removed by Timbavati management (1 600 animals – Table 3), as well as those to be removed by landowners within the reserve (390 animals – Table 2). Culling programmes are costly and time-consuming, but are essential for the continued health of the reserve, and culling decisions are informed by annual vegetation condition studies. 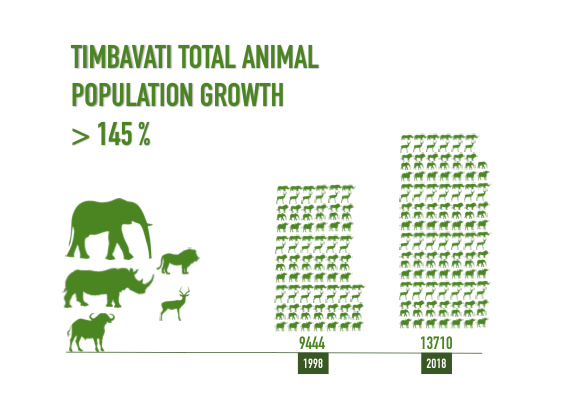 The above figures represent around 28 commercial hunters visiting the Timbavati during 2019, with less than 0.5% of the Timbavati’s total animal population allocated for commercial hunts. In 2019, the budgeted income from hunting will represent approximately 30% of the reserve’s total income. In 2018, the protocols that govern sustainable hunting in the open system were revised and standardised. As a member of the Greater Kruger, Timbavati participated in this process, together with other private reserves, industry representatives, Kruger National Park, Mpumalanga Tourism and Parks Agency (MTPA), Limpopo Department of Economic Development, Environment and Tourism (LEDET), and various specialists. This revised protocol covers all provincial and national legislation, as well as TOPS (Threatened or Protected Species) requirements, and places more responsibility on the hunting outfitter and professional hunter, with a penalty system in place to fine non-compliance. The protocol further dictates that should the outfitter or professional hunter routinely transgress, then s/he will be banned from the reserves in addition to being fined. Not a single hunt takes place without the scrutiny of census data and other ecological specialist studies. Our reserve managers, representatives from other reserves in the open system, MTPA, LEDET, SANParks and other scientific experts, attend pre-off-take meetings. Our hunting application is scrutinised and conservation authorities consider ecological sustainability, the contribution that hunting will make to the running-costs of our reserve, and importantly, how the hunting revenue will support conservation in the open system, beyond the boundaries of just our own reserve. In parallel with the revised hunting protocol, an initiative is well underway to implement a “Responsible Tourism Best Practice Toolkit for the Greater Kruger”. This toolkit, the development of which is a joint effort between Kruger National Park, the various private reserves adjoining the national park, the Department of Environmental Affairs (DEA), and tourism stakeholders, will lay down minimum standards and rules for tourism operators to adhere to within the Greater Kruger open system. The toolkit will also set aspirational goals of best practice, with guidelines on how to achieve these. This initiative recognises the need to regulate, monitor and control photographic tourism activities within the Greater Kruger, to ensure that these practices are sustainable, in much the same way as hunting activities are governed by protocols to ensure their sustainability. Timbavati is already implementing the new Greater Kruger Hunting Protocol and is actively participating on the steering committee for the development of the Responsible Tourism Best Practice Toolkit for the Greater Kruger. We are proud to be part of these multi-sector initiatives to ensure that both photographic tourism and hunting are sustainable, ethical and beneficial to a wide range of stakeholders. 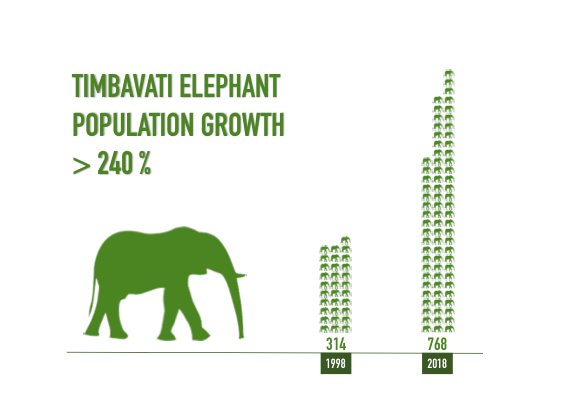 What’s Next for the Timbavati? Making History. Very soon, Timbavati will be a signatory to the historic Greater Kruger/GLTFCA Cooperative Agreement (to be signed between reserves in the open system) to ensure coherent and transparent governance of all aspects of protected area management. This is not just focussed on the regulation of hunting and responsible tourism practices, but also includes critical themes such as safety and security management and social investment imperatives. We remain sensitive to local conservation challenges and global trends and continue to look at ways to improve and diversify our revenue model. 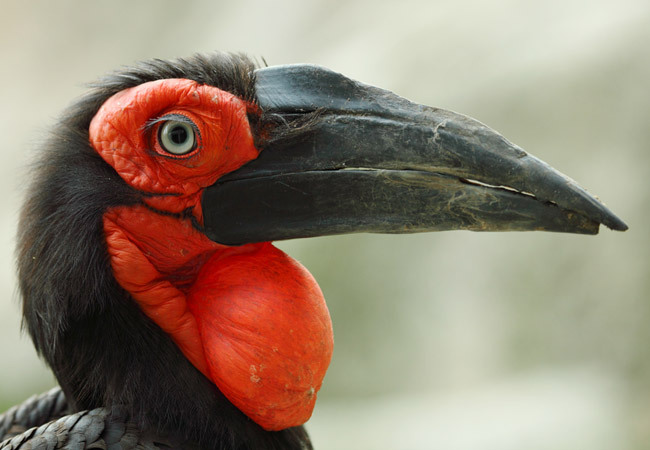 As a citizen of the Greater Kruger, Timbavati is committed to the big picture where multiple land-uses co-exist and common ethical norms regulate how we protect, utilise and benefit from nature.